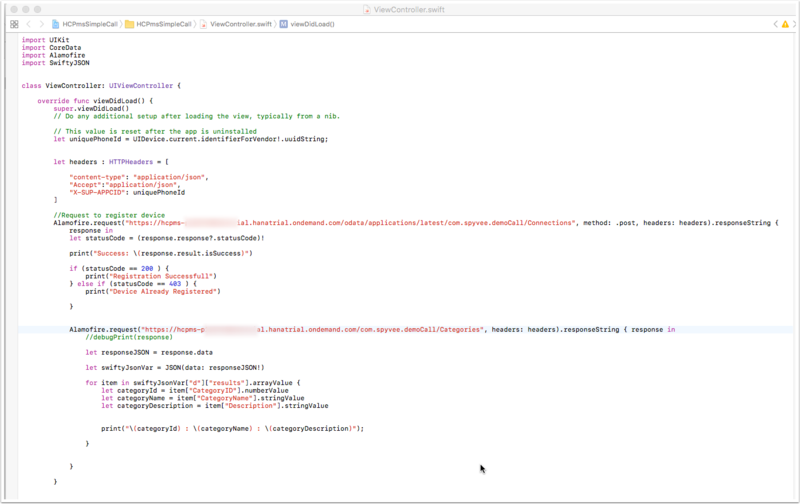 Since the application will be written in SWIFT, Xcode on a Mac is required. Unfortunately, there is no way around this. Specifically the screenshots that will be shown are from from Xcode 8.0 running SWIFT 3.0. 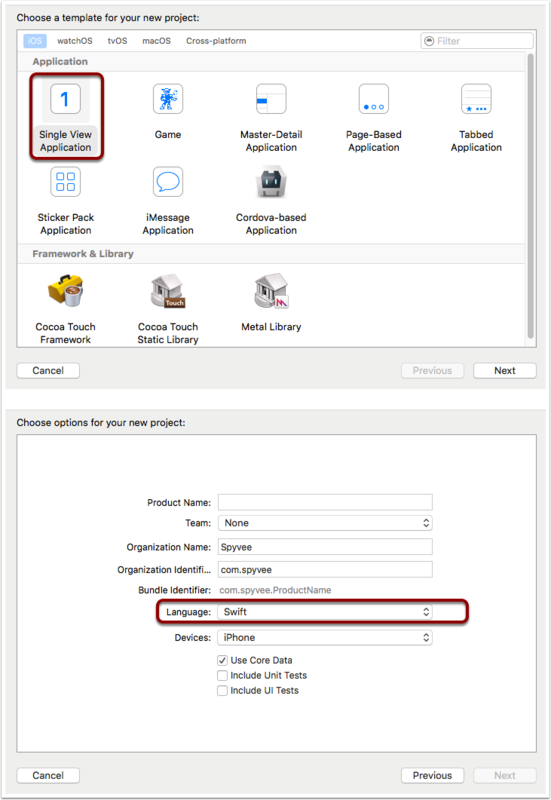 The first step is to create a new single view SWIFT project in Xcode. 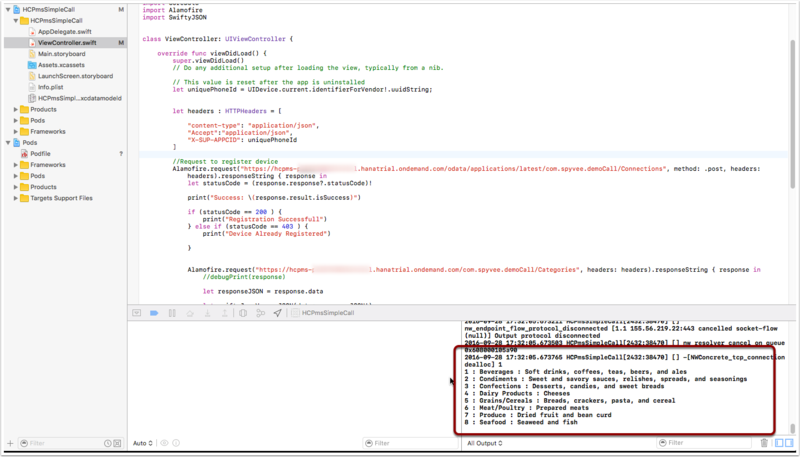 Unfortunately, the out of the box SWIFT tools to make HTTP Requests and JSON parsing are lacking. They are complicated and too low level for most use cases. The integration between the SWIFT application and SMP is done via REST-based web services. Interestingly, XML and JSON formats are available. We will be focused on the JSON structured versions of the services. Its recommended that you test these services with a tool like Postman ( https://chrome.google.com/webstore/detail/postman/fhbjgbiflinjbdggehcddcbncdddomop?hl=en ). This tool allows you to query the web services and see the results. It might be needed to tweek the calls to fit your HCPms environment. There are many online sites which will guide you through the usage of both Alamofire and SwiftyJSON. There is nothing special required to use them to access the HCPms services. Stay tuned for Part 3 and learn how to enhance our application to display the content in a readable format.